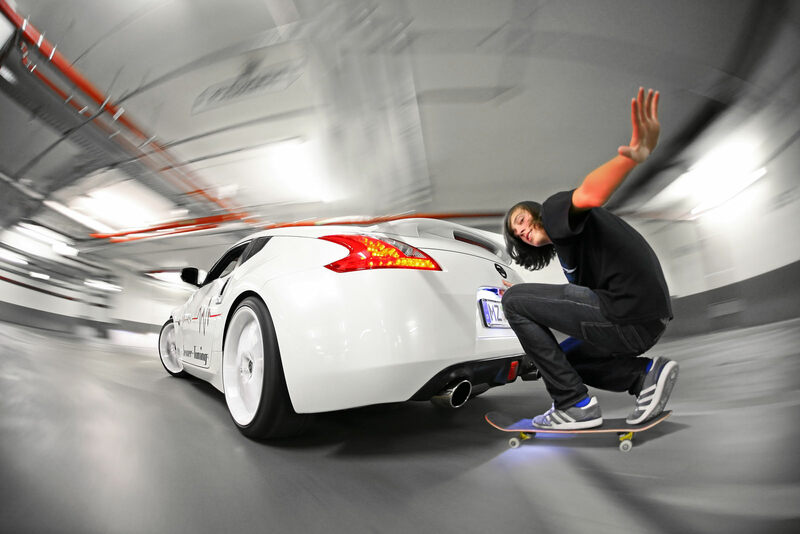 Asphalt Surfer is the name of the latest tuning kit created by the German tuners at Senner. 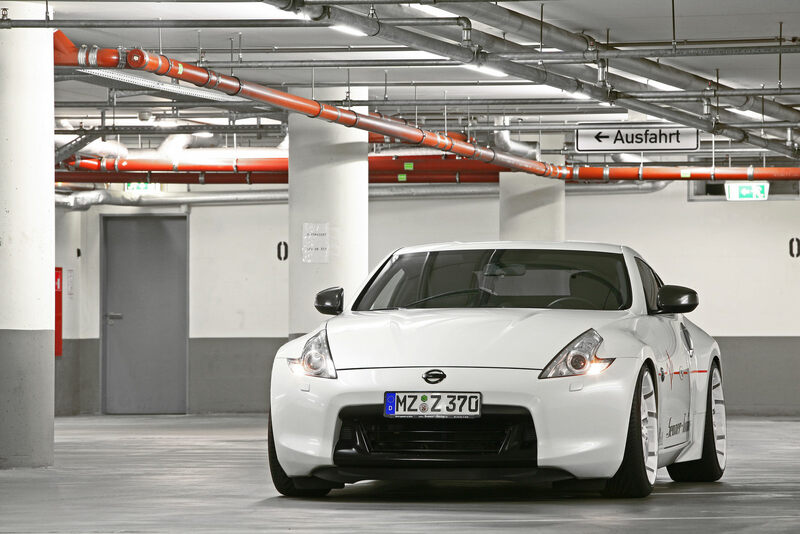 The Japanese Nissan 370Z model got some aesthetic improvements but more important some performance upgrades that makes the 370Z faster. 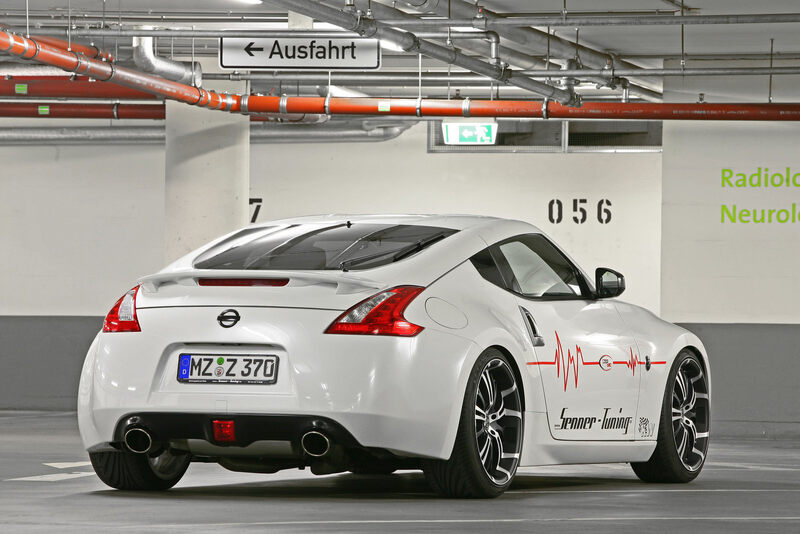 By mounting a new evacuation system, new aer filters and of course recalibrating the ECU unit, the German tuners managed to squeeze extra 33 horsepower from the 3.7-liter V6, thus, the Senner Nissan 370Z is able to develop 365 horsepower and 400 Nm of torque. At the exterior, Nissan 370Z Asphalt Surfer got carbon fiber housing for side mirrors, 20-inch alloy Barracuda Tzunamee Racing rims (available in matte black also). The handling of the Japanese model was improved by replacing the existing suspensions with some KW suspension set while for the exterior a white body paint was choosen together with a red broken line. The tuner’s name is also present on the sides of the model. The Germans at Senner set a price of €3.430 for the tuning kit.